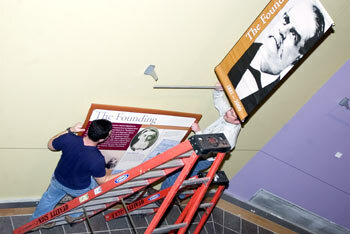 Preparations are underway for the University's Anniversary celebration, to take place at the atrium in the Wilbur Cross Building. The University has reached a settlement with the U.S. Environmental Protection Agency arising from issues related to past research practices at the Environmental Research Institute and the Booth Research Center. Faculty, staff, students, alumni, donors, and members of the Mansfield community are invited to the University of Connecticut’s 125th anniversary kick-off celebration Jan. 25, from 4 to 6 p.m., in the atrium of the Wilbur Cross Building. The Departments of Chemical Engineering and Materials Science and Engineering will be merged to form a new Department of Chemical, Materials, & Biomolecular Engineering. The merger, an outgrowth of the School of Engineering’s strategic plan, will be effective July 1. A Health Center physician-researcher has put together a team that may change the way population-based and clinical research is conducted in India.